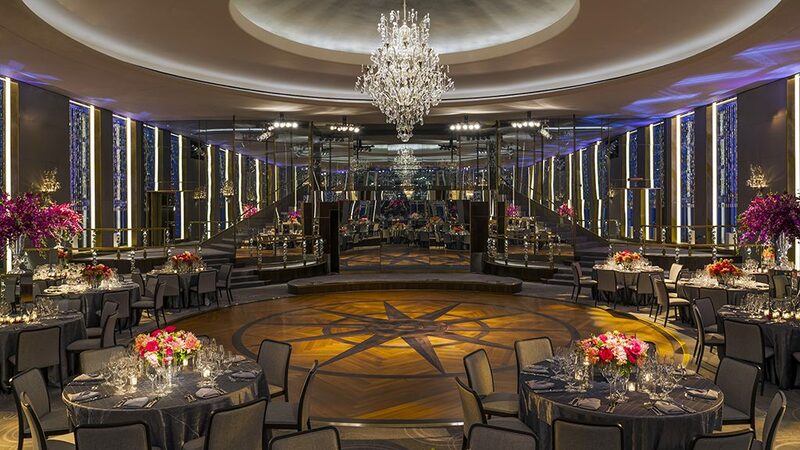 Throughout its history, the Rainbow Room has been synonymous with the height of New York City’s glamour. 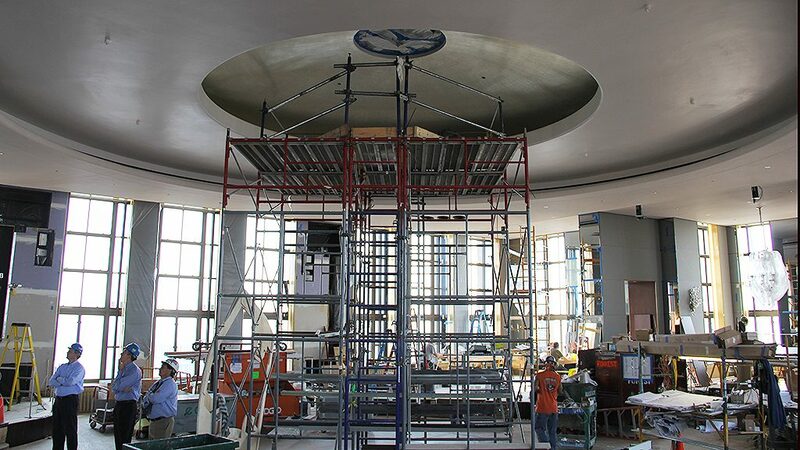 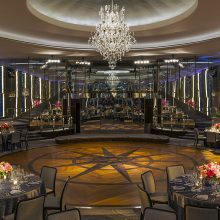 An aesthetic and cultural landmark since its opening in the 1930’s, the Rainbow Room boasts a domed ceiling, revolving dance floor and 24 foot tall windows offering unmatched city-views. 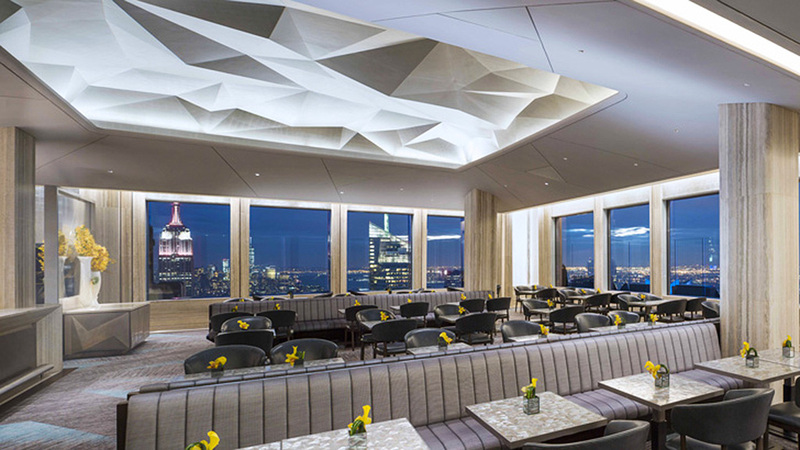 As part of a major renovation guided by Gabellini Sheppard Associates, EverGreene provided wall coverings and straight painting, installed metallic finishes on walls and ceilings, including gilding and a bas relief wall treatment. 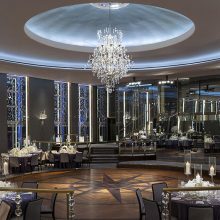 The space, including its legendary dance floor, has been restored through a modern lens to once again embody the glamour and elegance reflective of its rich history. 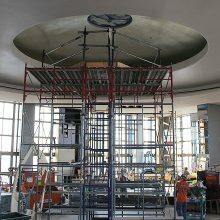 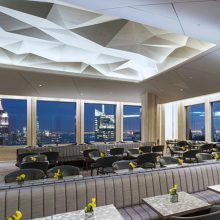 Adjacent to Rainbow Room is a new cocktail bar, SixtyFive, that will be open to the public five nights a week serving a menu of classic and contemporary cocktails. 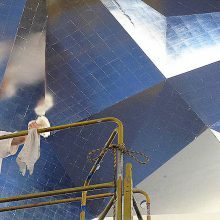 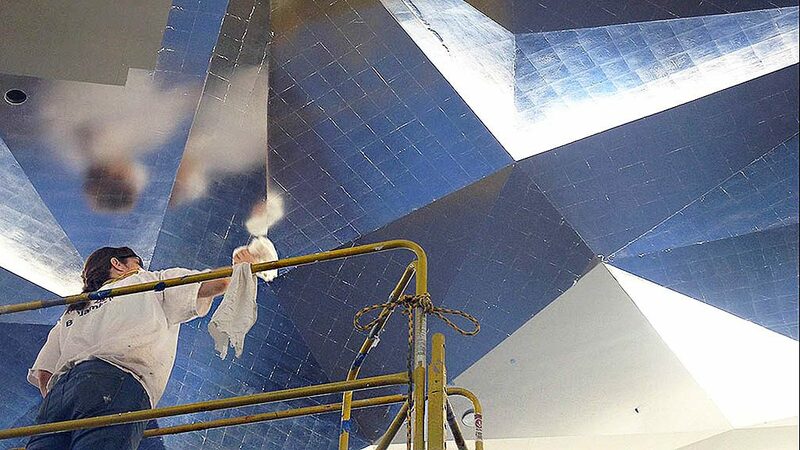 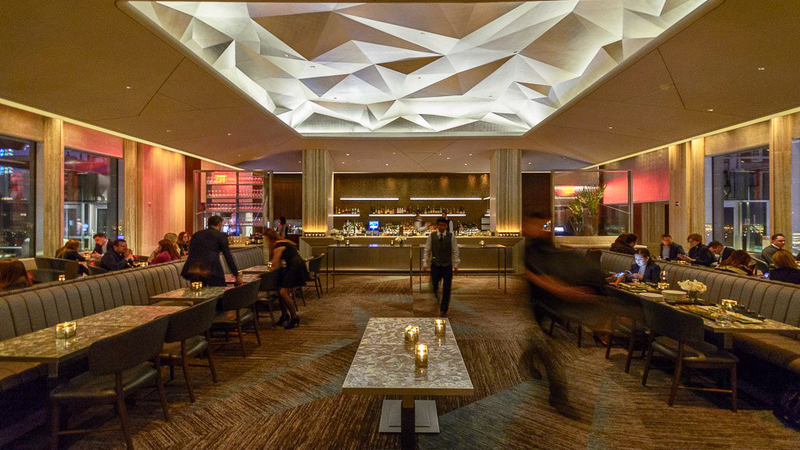 EverGreene gilded an impressive geometric sculpture protruding from the ceiling using aluminum leaf with a matte varnish. 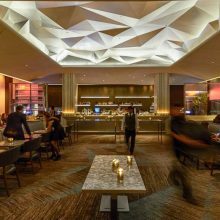 Artists intricately patterned leaf on the faceted ceiling as well as created custom geometric bas relief wall coverings for SixtyFive. 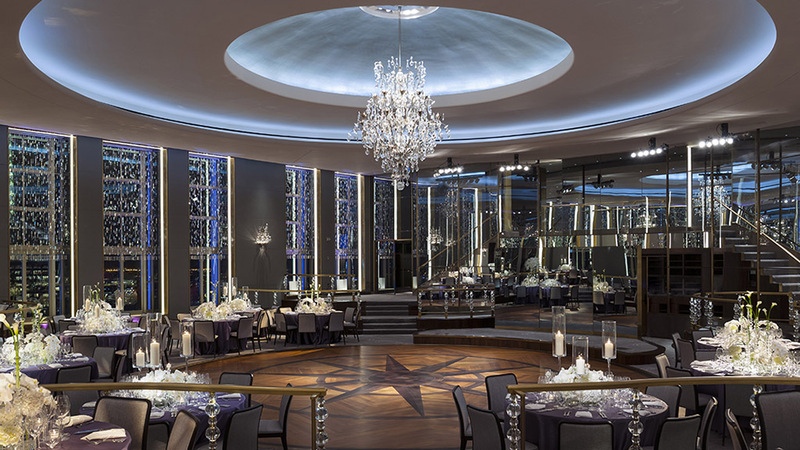 This iconic New York venue reopened to the public in October 2014.